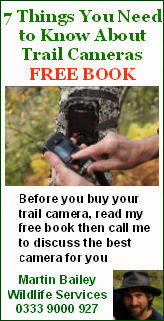 It wasn't my original intention to monetize this web site but I quickly realised that if I was going to be able to do useful survey work I would need many more trail cameras than my limited budget would allow. From that need was born the arrangement I now have with Wildlife Services, which is to offer wildlife survey equipment at reasonable prices with good service and information backup. I earn a commission from each sale which is used to help me purchase more cameras for my survey work. 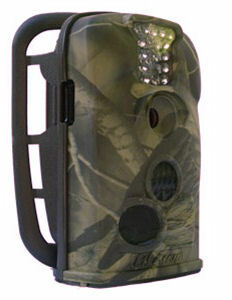 The principal products I offer are the trail cameras I use myself, because in my opinion, they provide the best value for money presently available; and I am committed to their use for my survey work. 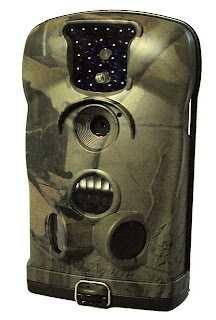 I am currently in the middle of researching and writing a joint review of the Ltl Acorn 6210 and the Bushnell Trophy black flash with colour viewer #119467 Trail Cameras; and there is a considerable and growing amount of information about these cameras available on these pages. While the Bushnell is undoubtedly an extremely good camera, producing slightly better quality still images than the 6210, I feel that the 6210 offers much better value for money. Both cameras have their pros and cons, but at the much lower price and indeed with its higher overall specification, I don't believe there is a camera of this type to equal the Ltl Acorn 6210. 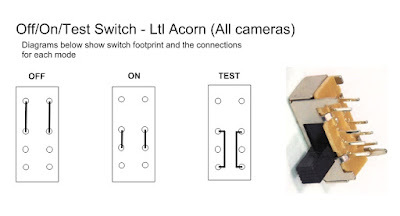 There have been some changes since I wrote this post but not my opinion of the Acorn 6210. My arrangements I with Wildlife Services had also shifted a little more recently with my having more sales involvement in the form of testing and despatch. This was primarily because of issues with the GPRS module which now seem to be resolved. The extra work was too much and I'm now way behind with repairs and not getting any survey work done. In future I will be concentrating on repairs, parts and technical support plus a lot more wildlife work. 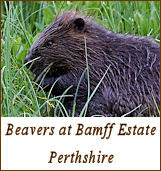 Future sales will be through the links on my sales page and will go straight into the Wildlife Services system. 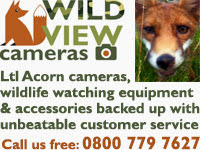 It means that I will no longer be carrying out extensive testing of every camera sold but Martin Bailey at Wildlife Services now has a protocol in place which covers all the basic camera functions and will be conducting his own pre-sale tests.